1. WILL WE SHOOT IN STUDIO OR ON LOCATION? 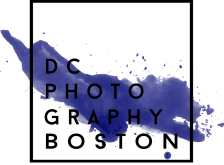 DC Photography Boston specializes in on-location photography, but can accommodate studio sessions as well. 2. WHAT IS A CONSULTATION? Consultations are the meetings I have with my clients prior to the photoshoot. We discuss all of the details regarding their upcoming portrait experience including: locations, dates, weather, concepts, outfits, accessories, and the ordering appointment. Consultations are an integral part of creating a stress-free shooting experience and beautiful images! Cash, Check, all major Credit Cards; There is a 3% fee for all swiped credit card transactions. 4. WHEN DO I GET TO SEE THE IMAGES FROM MY SESSION AND PLACE MY ORDER? Ordering appointments are scheduled for approximately 2-3 weeks after your session and may be scheduled at your consultation. It is very important that all decision makers are present during this time because this is the appointment where your final decisions will be made regarding prints and products. A "decision maker" refers to anyone who will be purchasing an image. If you are not sure which image your extended family might prefer, such as grandparents, make sure they are present as well. Since this is a time where you will want to devote your full attention (ordering appointments take between 1 and 2 hours), I ask that you consider arranging a babysitter for young children. At your ordering appointment, I will present your images in a slideshow and help you select the prints, books, and frames suitable for your home or office, and for gifts for friends and family. I specialize in helping you select the best images and display presentations and feel this process is a very important service that I can offer to my clients. Orders are generally delivered within 2-3 weeks and are sent to me. I deliver your order to you personally. 6. WHAT IF I NEED TO RESCHEDULE MY SESSION? I understand that unexpected events may occur, whether due to illness, weather, travel delays, or emergencies. If you need to reschedule, please call me as soon as possible (at least 24-48 hours in advance). While the session fees are non-refundable, you may use it to reschedule within 6 months of your original appointment date. 7. WHEN DO I PAY FOR MY SESSION FEE AND WHAT DOES THIS COVER? Your full session fee payment is required at the time of booking- usually this is at the consultation. This fee is the only way to hold your appointment. The session fee covers the time, talent, and creative fee of the portrait artist and is non-refundable. This fee does not include any images, in digital or print form. All images must be purchased separately. A list of session fees can be found on the Choose Your Session page; each one is listed next to the session type. 8. WHEN IS PAYMENT DUE FOR MY ORDER? I require 100% of your order total at the time the order is placed. Your order must be paid for in full before ANY portion of your order is completed or before any part of your order is picked up. Balances must also be paid in full to receive ANY digital images or yearbook images. Please make a note of what type of minimum purchase accompanies your session and be prepared to pay at least that amount. My clients often spend between $1500 and $3500 on their senior portrait collections. Orders are custom made and are non-refundable. 9. WHAT IF I WANT TO MAKE A COPY OF MY IMAGE? All images remain the property of DC Photography Boston and are protected by federal copyright laws. Duplication in part or whole (whether by scanning or reprinting) is strictly prohibited and will be prosecuted by law. This includes posting scanned images to social media websites and downloading or otherwise saving any images that are posted to social media on any DC Photography Boston account. Any social media images that have been purchased may not be cropped or altered in any way- this includes Instagram filters (they actually don't make the images look better). If you're ever not sure about how you can use an image, just ask! 10. WHAT IF I WANT TO USE IMAGES FROM MY SESSION FOR MY YEARBOOK? Each senior portrait session includes one image for the yearbook that will be chosen during the ordering appointment and will be sent directly to the school. It is the student's responsibility to make sure he/she provides the email for the staff member in charge of the yearbook well before the yearbook deadline. 11. I JUST WANT A CD OF ALL THE IMAGES TAKEN AT MY SESSION- CAN I GET THAT? Unfortunately, if a CD is all you want, we might not be a great match. My clients see the value in creating custom artwork for their home with wall canvases, framed prints, and custom signature albums. You'll have so many beautiful images from which to choose, you'll want to share them with friends and family- not just throw them in a drawer never to be seen again! Similarly, if you are only interested in one 8x10 print or just digitals, I'm probably not the best photographer for you. 12. WHAT IS A MINIMUM ORDER? The minimum order for each session goes toward your print and product purchases at the ordering appointment. For example, if a client's chosen session has a $499 minimum purchase, he or she must purchase at least $499 worth of prints and products. I will bring samples of my most popular products so you are able get a better understanding of each item and choose the best ones for your home. 13. HOW DO YOU ACCOMMODATE TWINS OR MULTIPLES? In the instance of multiple seniors within the same family, each senior will have his or her own session. Up to two can be shot on the same day. Depending on which session each senior chooses, the non-refundable session fee is necessary at the time of booking and I allow the minimum purchase, if applicable, to be shared for all of the seniors. For example, if there were twins in a family, each would choose a session. If they both picked the Ultimate, a $400 session fee would apply for each of them, totaling $800, but the minimum order requirement of $999 would only be applied once. 14. I DON'T EVER WEAR MAKEUP OR DO MY HAIR. DO I HAVE TO HAVE PROFESSIONAL MAKEUP AND HAIR FOR MY SESSION? Yes. For several reasons. Senior portraits are a BIG DEAL. You should be wearing you hair and makeup in a way that you would for any other special occasion. Professional hair and makeup makes a huge difference in the final portraits. It cuts down on editing time for me and helps the images look polished. Plus, I offer an experience. I don't want my clients to wake up on the day of their shoot and worry about how their hair and makeup is going to look. It's a day to be pampered and stress-free. I always ask if you're 100% happy with the final hair and makeup look before we start shooting. If you don't like your look in person, you certainly won't like it in photos. My makeup artists and hair stylists will make as many tweaks as needed for you to be absolutely in love with how you look. I cannot reshoot sessions if you don't like your styling, so be sure to be completely honest and vocal about how you'd like to look. Check out some of my lead makeup artist's work HERE! 15. I NEED MY IMAGES EDITED FOR THE ORDERING APPOINTMENT SOONER THAN YOUR USUAL TURN-AROUND TIME. IS THAT POSSIBLE? Images are individually edited in-house in the order they were shot. If you need your images to be delivered sooner than the usual 2-3 weeks, there is a $500 rush fee. 16. CAN YOU EDIT "MORE NATURALLY?" Not really, no. My images are edited to smooth out imperfections, darken shadows, brighten highlights, and pop colors. I have all of my clients get professional hair and makeup and I light them correctly while shooting so I don't have to do much post-processing in the first place. The final images look just how they do straight-out-of-camera, but with polish. I won't give you vampire eyes or over-whitened teeth. I won't give you Barbie doll plastic skin- there's still texture in the final photos. If you hate how the images look in my galleries, I'm probably not the best photographer for you, and that's totally fine. 17. WHAT KIND OF PRODUCTS DO YOU SELL? I bring samples of my most popular products to each of my ordering sessions; these include framed portraits, canvas gallery wraps, metal prints, mini accordion books, and boutique coffee table albums. I can also provide gift prints to update frames for family members. 18. I'M READY TO BOOK! WHAT DO I DO NOW? Awesome! Head on over to the Contact Page and let me know what you're thinking for your shoot! I'll get right back to you in an email to answer any other questions you have and to set up a pre-session consultation! *Session fees are non-refundable and serves as your agreement to all of the policies listed above. *There is a $50 travel fee for sessions on the Cape, North or West of Boston, and in Rhode Island.